Teething can be a stressful time for both the parent and the baby. So, it’s a no-brainer that you’re looking for ways to make it easier. In particular, does pacifier help with teething? There has to be a reason why pacifiers are commonly used for teething babies. As expected, a pacifier can indeed help your child get through that phase. The best thing about pacifiers is they can minimize thumb-sucking. 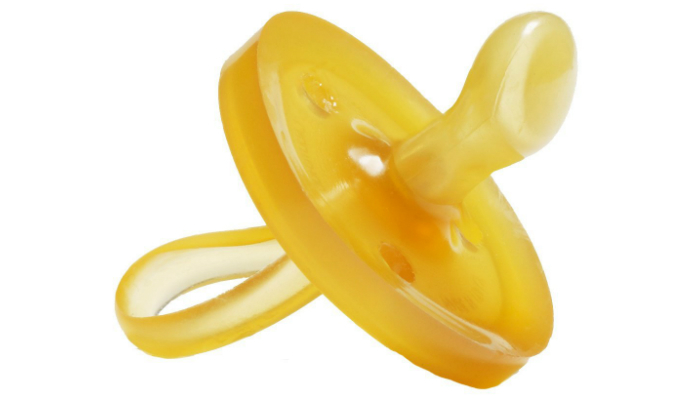 Don’t worry about your baby getting fussy without a pacifier; he will get over it eventually. That’s easier to deal with than weaning your child from thumb-sucking. However, you can’t just give your baby any pacifier you can find. According to KFL&A Public Health, the best type is the orthodontic pacifier. It can prevent tooth misalignment in the future. Always wash the pacifier before giving it to your baby. Never expose the pacifier to sweet foods or drinks. 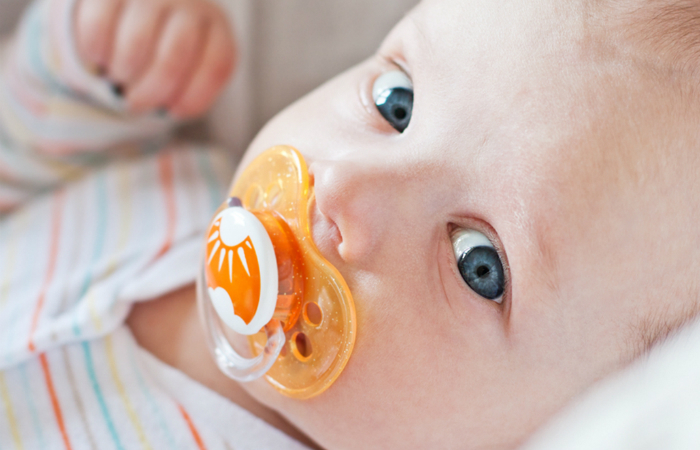 Replace the pacifier immediately when you see signs of wear and tear. Does pacifier help with teething? Yes, definitely! There should always be a soother nearby while your baby is teething. But, remember to only give an orthodontic pacifier just to be safe.